Overdue reviews is a section on the blog where I finally get to play and review a game a while after the game has launched. Chances are you already own it by the time I post these up, so these reviews are purely to get some content up on the blog in these early days, with games I never reviewed elsewhere being the ones I focus on. As a parent of two and being a stay at home daddy while the wife goes out to work these days, those old days of going out at payday at the end of the month and picking up a ton new and pre-owned games from the numerous games stores found in Birmingham are a long distant Memory. I'm now the gamer who looks at every new release and judges it on nothing more than value for money, which solely means can I still see myself playing it 10 to 20 hours down the line. Mostly this means me picking up games that have a long living online portion to them that I know I will play with online friends, or it can be something that offers a ton of side quests and things to do away from the main story. The last game I actually went out and picked up on day one that explains the sort of game I will happily buy these days was The Witcher 3, it's just a shame that with being busy elsewhere on another site and just other things coming up, it still sits on my Xbox One HDD with only about 40+ hours put into it. 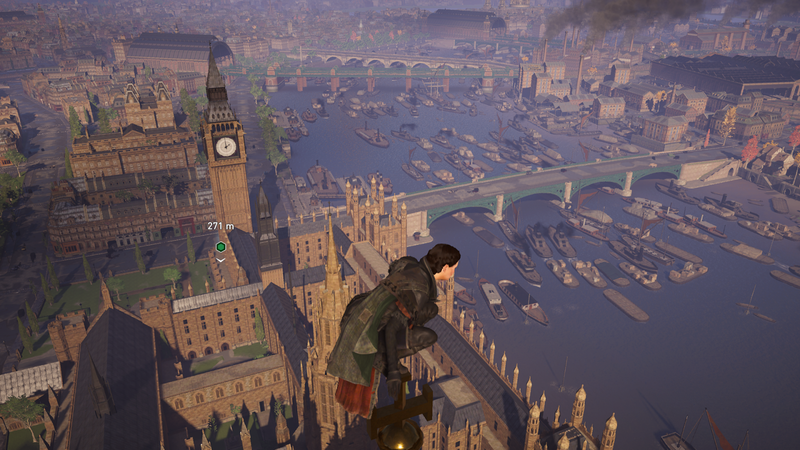 Assassin's Creed Syndicate sees you taking control of twin assassins Jacob and Evie Frye, as once again the Templar and assassin war rages on, with the setting this time around being that of old London town (said in my best cockney accent). While Syndicate just offers more of what we've seen in previous AC games, I'm one of those simple gamers who has enjoyed what the series has offered up until now, so the chances of me hating what Syndicate had to offer me was going to be very unlikely. Sure Syndicate is no Black Flag, but both the setting and the fantastic combat system the game has had since the very beginning has always made me enjoy the games no matter what. 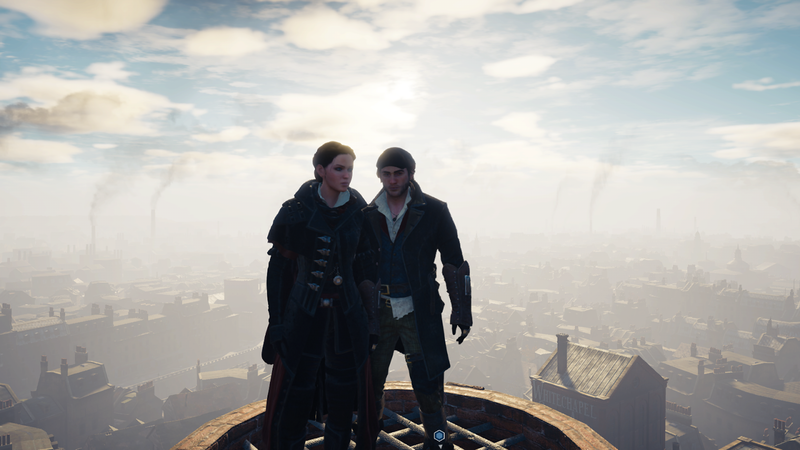 And with Two likeable characters in the Frye twins (Evie is the one I seem to enjoy playing as most), I find myself now close to 20 hours in playtime and 25% into the game and loving it. While the story of Syndicate is the standard go out and kill people and be told a ton of story after you've murdered them, games like this for me have always been about the ton of side quests and things that they offer to you and I, and Syndicate is no different. AC Syndicate has a ton of fun and also pointless things to do once you've finished playing around with the main story, or in my case getting to about sequence five and then just running around like a loon doing everything and anything that was showing up as available on the map. So for the low price of just under £13.00 that I paid for my copy, it came across as a cracking bargain when finally getting to play the game. Each area on the map sees it having its own level of difficulty, so while some will be easy to go and tackle right from the off, some you will have to revisit later on in the game once you've got those better upgrades and gear the more you play and rank up. Every area also has a set amount of activities and gang leader to tackle if you wish to take it over, but they also have other things to do away from these such as a fight club and horse & cart racing. 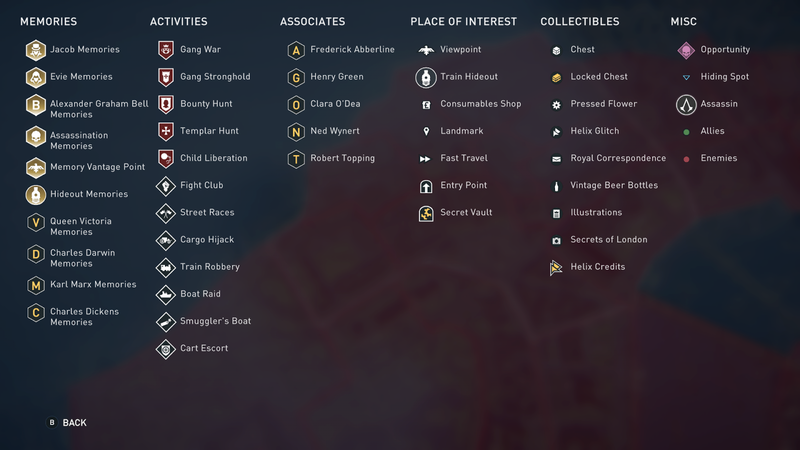 The activities to beat before you get to fight the gang leader in a gang war are things like child Liberation, where you must free kids from being put to work in factories, and also thing likes Templar hunts, Bounty Hunts and Gang Strongholds, which are all sort of things we've done tons of times before in these games. Just because we've done them before though, it doesn't make them less enjoyable if played in the right way. Sure if you do anything over and over again in a short space of time it will get a bit boring, that's to be expected. But if you pace the activities out in games like this to make the game last longer than just a few days, chances are you will get a much better experience from it if you do so. As you can see by the image below you also have memories to play and associates to do things for. So in terms of side quests to do, Syndicate has hours of them for you to enjoy. Now onto the upgrade portion of the review and both Jacob and Evie have a ton of upgrades to add to their character, which you can buy with skill points that unlock every time you collect 1000XP in the game. There are three options to choose from when spending your skill points, with Combat, Stealth, and finally Ecosystem the ones to choose from. Combat upgrades offer such upgrades as a bigger counter window to attacks from enemies, to simpler things such as adding a health segment to your overall health bar. Stealth sees upgrades such as upgrading your locking picking and knife throwing skills. Finally, the Ecosystem portion seeing upgrades to items like your eagle vision (think x-ray vision if you're new to the AC series), as well as how much damage your character can take from an attack and so much more. Finally, in the upgrades section of this review, we have the gang upgrades. These much like the character upgrades above also has three options from you to choose from, only this time around you buy them with cash you earn as well as loot you find in chests around the game, which you can also craft new gear and belt upgrades with. Like I said above, gang upgrades see you having three choices once again to choose from, with the options this time being Ringleader, Insider, and Swindler. Ringleader allows you to upgrade the level of the gang members that can accompany you in the game, as well as what power of members that can be. The three available are Watchers, Brutes, and enforcers, all of which are powerful in their own unique way. Insider lets you lower your notoriety with both the police and blighters (standard enemy found all over the game) amongst other things. Finally, Swindler allows you to buy into businesses that will see money earned going into your safe found on the train that travels around the world, which essentially plays the role of your safehouse in the game and has everything you need all in one place. Summary: While this quick review might be a bit all over the place, let me make one thing clear to you in this last piece of this review. 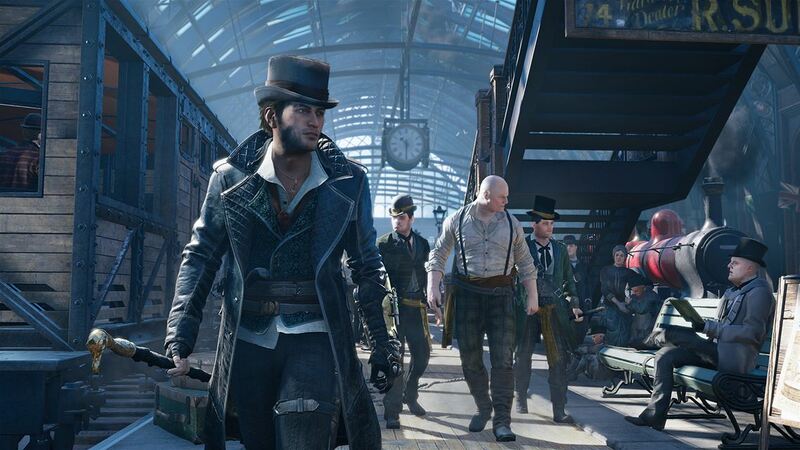 AC: Syndicate while not being something that will drag the haters of the series back into making a purchase anytime soon, as a fan of the previous games I'm glad I finally got around to picking it up. Having broken the 20+ hour mark in playtime thanks to this review today, I can only see myself adding to that over the next few weeks, in what is a game that offers a lot for a such a small price now when looking around the Internet for it. I gave up on AC after Unity but, as it's one of this month's GwG, I'll finally be getting round to trying it out. I've heard good things about Syndicate, which your review backed up. Although I'm not gasping to play it, I'm sure it will do when I run out of my "really wanna play" list of games.